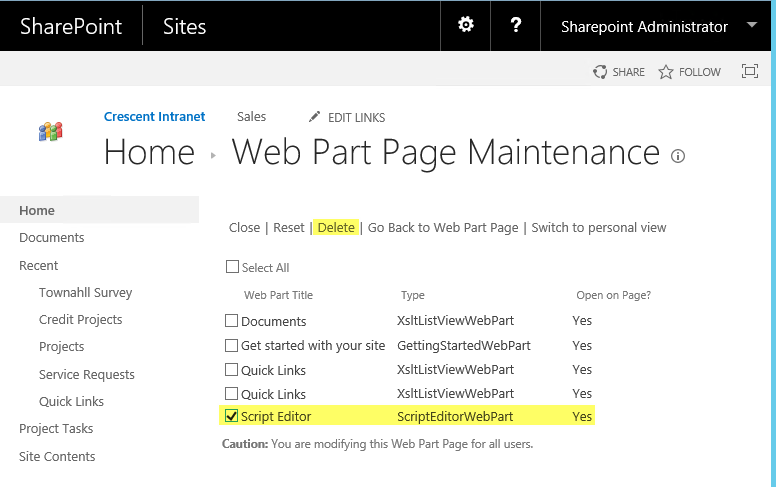 After the SharePoint migration from SharePoint 2013 to SharePoint 2016, decided to remove a broken web part from all pages wherever its being used. How to Remove a Web Part from Page in SharePoint? Instead of deleting a web part from each single page from browser, we can leverage PowerShell to remove a particular web part from all pages in a site collection. Write-Host "Deleting Web Part on $($web.Url)/$($page.Url)"
This script iterates through all sites and pages in the entire site collection and removes the given web part.